Keywords: Alzheimer's disease, mild cognitive impairment, precision medicine, combination therapy, software, treatment. 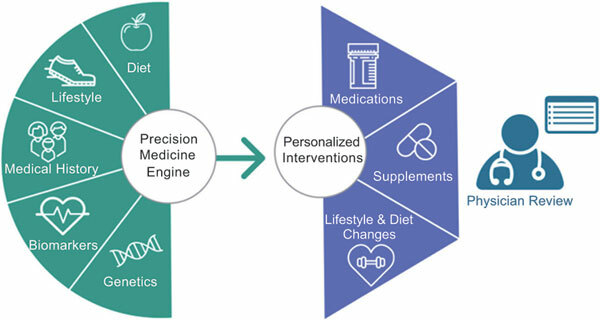 Keywords:Alzheimer's disease, mild cognitive impairment, precision medicine, combination therapy, software, treatment. Abstract:Introduction: Alzheimer’s Disease (AD) is a progressive neurodegenerative condition in which individuals exhibit memory loss, dementia, and impaired metabolism. Nearly all previous single-treatment studies to treat AD have failed, likely because it is a complex disease with multiple underlying drivers contributing to risk, onset, and progression. Here, we explored the efficacy of a multi-therapy approach based on the disease risk factor status specific to individuals with AD diagnosis or concern.